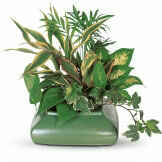 This dish garden is a lovely array of cheerful plants that will make a lasting and caring way to remember someone close to you. 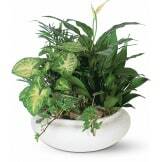 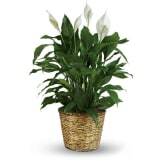 • Dracaena, ivy, palm, dieffenbachia, peperomia and philodendron plants arrive in a low decorative bowl. • Arrangement measures approximately 12 1/2" W X 11" H.